Copper cabling such as Ethernet, is the cheaper of the two, making it a low cost alternative with a bevy of possible applications. But sometimes a high-cost option like fiber is required. What emerges as you learn more about the two options however, is that there really isn’t much of a war at all. In fact, each solution has its fair share of pros and cons. 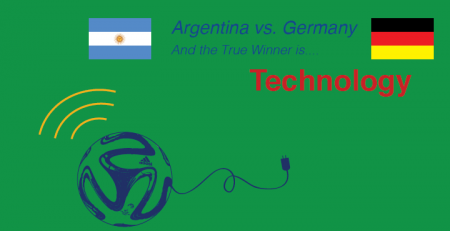 With unique benefits and limitations to each technology, it hardly seems like they’re competing technologies at all. Fiber is great for faster speeds, security and data delivery over super-long distances. But on the flipside, it’s brittle, a bit unwieldy, and much more expensive. Copper is getting faster, but it has some notable limitations with regard to distance. In its unshielded form, it can also be prone to interference. So what’s the best choice? That’s easy, and I bet you guessed the answer… It depends. If you’re connecting an ISP to a node or street cabinet, then fiber’s your baby. Glass is great for outdoor applications and you can transmit a lot of data over incredible distances with fiber cabling. However, once you’re actually at the cabinet or close to the roofline of a home or building, the choice becomes more nuanced. This is where ethernet copper cable is giving fiber a run for its money. One of the main reasons comes down to cost savings. HDBaseT and HDMI (both 1-cable solutions) come into play here as well. Frankly, these solutions deliver great performance at substantial savings. Copper also cuts down on the need for additional power sources. Fewer cables and less supporting installations? 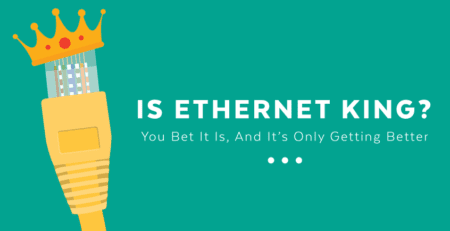 It’s easy to see why ethernet is still a popular choice. So, you can probably tell that it’s not always a clear choice. Let’s take a closer look at the benefits and drawbacks of each. But don’t get too hung up on the debate… if we’re being honest, many installations will require you to use both types of cable anyways. Ethernet was originally developed by Xerox. Developed in the 1970s, it went commercial in 1980. The origin of fiber optic cable technology is a bit more drawn out. In fact, one of its first uses was when NASA sent it to the moon for use in television cameras in 1969. Both of these cabling solutions have been going strong for decades. So from a historical perspective they’re on equal footing. Unshielded twisted copper cable has challenges with interference. It can be caused by a number of sources ranging from bluetooth and RF to transformers and microwaves. The solution for twisted pair copper installations is simple. Use higher grade, shielded ethernet cables like Cat 5e, Cat 6 and 7. We also recommend pairing shielded cable with shielded connectors for best results. The added protection makes a difference. With HDBaseT and HDMI on the rise for home use, microwaves are a consistent factor. Electrical interference is not a problem with fiber optic, but fiber does experience its share of interference as well. It’s called Intersymbol Interference and it arises from light pulses interfering with each other. This happens because light sources are not completely monochromatic. But like shielded ethernet, fiber optic has a high percentage of reliability. So both cables types ultimately have an achilles heel, but manufacturers are improving quality all the time. Fiber definitely wins for sheer speed, but applications can often neutralize the argument. With current end-user data requirements, terabytes per second aren’t really an issue when you’re just trying to send a signal from the living room to the kitchen. Here are some current breakthroughs that are shaping the performance levels to come for each cable type. Ethernet was once as slow as 10 Mbps over 100 m. It pushes data over electrical current. 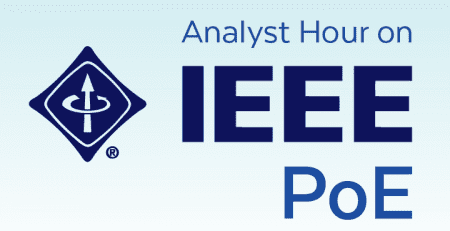 With the 802 IEEE Alliances, speeds now reach 2.5 and 5 Gbps, and are currently on track for 10 Gigabit Ethernet. 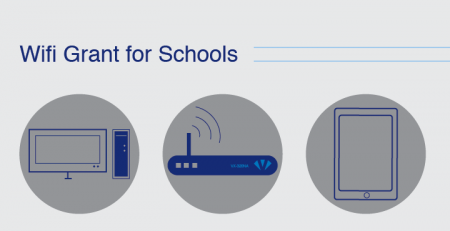 VDSL2 technology has further changed the ballgame. VDSL2 uses up to 30 MHz of bandwidth to provide speeds of up to 100 Mbps both downstream and upstream within 1000ft over a single pair of twisted copper. So former limits are expanding exponentially. VDSL2 also paved the way for G.Fast. Test labs are currently reaching speeds of up to 150 Mbits over 500 m loops. Keep your eyes peeled for this tech to start rolling out in the UK soon, and stateside subsequently. What’s driving this movement is primarily consumer popularity. Ethernet extenders and SPF modems are particularly popular, because they help homeowners and businesses alike save money. 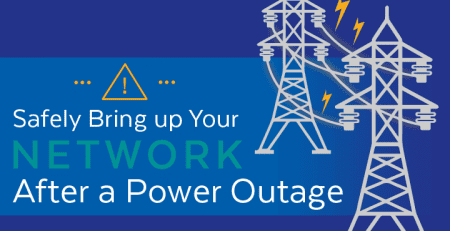 The market can count on consumers continuing to rely on ethernet devices. Accordingly, manufacturers are appropriately motivated to spend money developing their products. This leads to further R&D, and thus the cycle begins anew. Cat 5e – The “e” stands for “enhanced” and these cables are produced under more stringent parameters. These are slightly better than straight Cat 5 cable. Cat 6 – Costs more than Cat 5, but it also supports higher bandwidths than the Cat 5 and 5e products. Last but not least, these cables are shielded. Cat 6a – The “a” stands for “augmented” and these have the capability of sustaining higher speeds over greater distances. As you can see, current technology is stretching the dimensions of twisted copper capabilities. For specific ground-breaking products, you can check out our VX-160 Series SFP modules and more here. Fiber Optic technology falls into 2 categories: single and multi. Single Mode uses laser light to send signals over long distances. 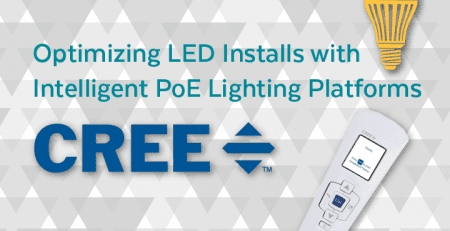 Diodes send signals over Multi Mode cables for installs that cover shorter distances. Single mode fiber can reach distances 50x greater than multimode can accommodate but it’s worth noting that it’s more expensive. Multi mode fiber – the short distance version, typically reaches up to 10 Gbits/s over lengths of up to 600 m or 2000 ft. Speeds aren’t only increasing in the ethernet camp. 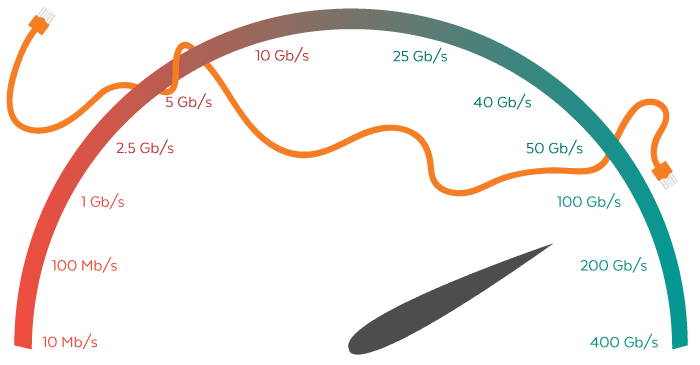 As recently as 2014, researchers were able to achieve data speeds of a staggering 255 Terabytes per second (Tbps). To give you some perspective, the most efficient single-fibre links reach their capacity at around 100gbs. Do the math. According to Extreme Tech, 255Tbps could supercede the net total of all traffic flowing through the entire internet during peak hours. Wow. That’s a lot of data reaching its destination at light speed. Fiber optic is definitely a great choice. In fact, in the previous administration there was an initiative to cable up the country using fiber optic. Sadly, the powers that be ran out of cash. So, it was back to square one. This failure does not reflect upon the technology’s features, but rather its cost. Until manufacturers find a less expensive way to produce it, it’ll most likely continue to be used sparingly. Money talks. Market philosophy walks. Ultimately the best decision is up to property owners. And, the best solution will be defined by the one capable of delivering the best installation at the lowest cost possible. Customers know their budgets and their needs. By staying up to date and educating customers, you can both deliver excellent results and earn repeat business from improved customer loyalty. Knowledge is power. If you have questions of the technologies you need for either application, please reach out to our analysts! Thanks so much for reading the blog! Our blogs are written by Allison Teague, an employee of Versa Technology. Brenda. Allison was covering for Rita Mailheau, who is actually the blogger. Thank you again for reading the blog. Really interesting article, and very well written. I was wondering if is possible to connect to computers in different cities via Optic Fiber. I mean, it will be expensive obviously, but is it possible? You can if funds were not an issue. There are connections such as VPN that can be used to connect to a remote site which would be more realistic. Reducing the distance between the wire twists and contacts also improves performance. I agree that, Fiber is great for faster speeds and data delivery over super-long distances. Thanks for sharing..!! Basic terminology problem. This article is actually contrasting twisted pair copper cabling vs fiber optic cabling for use in an Ethernet network. When this article says Ethernet, it should say twisted pair. Ethernet is a communication protocol that defines a transmission layer as well as higher layers in the OSI model. Coax, twisted pair copper, fiber optic, and wireless are all transmission mediums for Ethernet. Cat 5E, cat 6, and cat 6A come in both UTP (unshielded twisted pair) and STP (shielded twisted pair) varieties. Higher cat numbers mean more twists per centimeter, which supports higher speeds and longer cable lengths. STP is used to prevent crosstalk (which can slow speeds dramatically) and prevent radiated emissions problems. Lew, thanks for pointing this out. We will make the changes accordingly. It’s good to know more about the different cabling options there are. I like how you said that it really depends on your needs and setup. Like you said, if I had the need for data cabling, I think ethernet would be best because it’s cheaper! Good article. 1/ What are the operational cost (opex: ooerational expenditure running + maintenance cost)and the capex (one off capital expenditure) of operating eg 100m fiber vs 100m of cable? Cable companies also have street cabinets to run and more electricity cost. Telephony copper wite seems to be more expensive from an opex point of view. 3/ What applications will drive huge internet bandwidth in the future? Most households seem to have sufficient bandwidth with 100 Mbps. The answer on these questions will point out the winning long term connectivity technology in this market. Perfect comparison between fiber and copper wires. There is more about ethernet cables to know. As a networking professional I would like to share: http://www.tscables.com for users information and guidance for better decision making for your selection. I never knew that fiber optics relied on the speed of a photon, while copper wires rely on the slower speed of electrons. I have been looking for a new apartment to live in, and a lot of different places have advertised fiber optic internet. After reading your article, I will be sure to try and find an apartment with the much faster fiber optic internet! Whenever it becomes to choose between copper and fiber most of us will prefer for the fiber due to its abundant advantages. But apart from advantages, this wire has disadvantages too as in case of molding this wire normally gets fractured when bent. Hi Rita, seeing your post is such a blessing to me. I am trying to help my son with his assignment about network cabling and there it goes, you’ve explained it in a very detailed manner. He can now discuss it in his class with flying colors! Cheers! Joy, I am so very glad we can help. Thanks for letting us know. Have a wonderful day! In the battle of the bandwidth, fibre optic cable wins with multi-mode optical fibre cable capable of producing 1000 MHz over 100m. When it comes to copper, Cat 6A cable is capable of carrying up to 600 MHz over 100m. Speeds vary over each of these wire types and can exceed rated capacities depending on distance and hardware being used. But due to CAT 6a being rated @ 500MHZ to 100 meters, stepping up to CAT7, rated @ 600MHz doesn’t really make much sense. 2. Home networks like mine have the longest run being only about 25 meters with the rest being less than 10 so choosing CAT6a seems to make more sense. Personally, I like the information shared here. I also feel the best wire available should be the first consideration for those who want to take full advantage of a smart home. 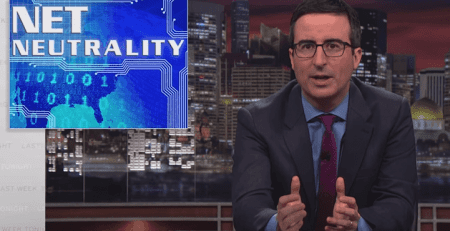 Most people say installing wiring that offers the highest available bandwidth is just wasting money because it’s not even the norm that internet providers give home internet connections with bandwidth that would support something like CAT7 or better. There are some who have opted for GB internet but even then, some articles claim CAT7 or better makes no sense. 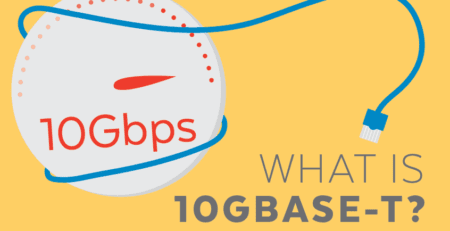 10GBast-T speeds are not always needed because of an internet connection. Your internet is only a part of what some smart homes are using over their networks. And it was not very long ago when 100Base-T was what businesses were running their networks on and suddenly GB ethernet became everyone’s dream come true. 10x the speed of what we were seeing over most Class D local networks was suddenly available because they opted for CAT5e and were able to just upgrade devices. Their infrastructure supported up to 1000Base-T up to 100m. I bet some of those who paid for the installations wish CAT6a was available back then because today they are paying a heft price to do it all again just to get a medium-large installation up to date with 10GBase-T or better. We really shouldn’t have an isolated mindset to limit the bandwidth when the availability is here now. Many people I know, home users, have Plex media servers. They access their media across the entire house. A home can have a 5 people avidly using alot of local media streaming which has nothing to do with internet at all. And when the internet becomes used, it’s putting even MORE strain on the local network. Between 4K media, High Definition security cameras, video chat, online gaming, there is nothing that should stop some people from giving themselves alot more bandwidth than even CAT6a has to offer. In the end, I think some people with a small need obviously do not need to invest in the best available infrastructure. And what you can afford always comes first. But if you have it, I’d go for it, just to make sure you never have to fish wires again. I liked copper wire a more than the other types of wires because these provide the best strength and signals to the network along. I have read your article, it is very informative and helpful for me.I admire the valuable Information about Fiber Optics in your articles. Thanks for posting it.. Fiber optic cabling and equipment items including single mode and multi-mode fiber patch cables of 62.5/125, 50/125, and 9/125, and fiber dissemination items utilized in high tech networking. Shop now for Fiber Optic Patch Cables. Look over a wide assortment of Fiber Optic Cabling including single mode or multi-mode patch cables. Fast and Easy. Ships Today. As of start of 2019: I’m not sure why the conclusion is that fiber is more brittle or more costly. A home with one+ servers, and some mix of up to 2 other devices on the 10G backbone in your home costs about $1000 to build out. The most expensive component being USB-C to SFP+ 10G (cheaper than to 10G copper). It offers shared NAS drive performance that is equal to or faster than an NVME SSD on your laptop. [last three years – original cost $3000, today would be $1000] I have a 10G network fully built out with both. SFP+ 10G Fiber is far cheaper, less power, more reliable. Today, at Amazon prices, you can buy and build a 10G hybrid network offering BOTH 10G copper and 10G fiber for $1000 including cost of all 10G 8-port [2 or 4 SFP+] switch ($550), USB-C to SFP+ Fiber ($350), the actual fiber cables (cost practically nothing), the SFP+ transceivers ($25/ea), the PCIe to SPF+ ($85/ea). 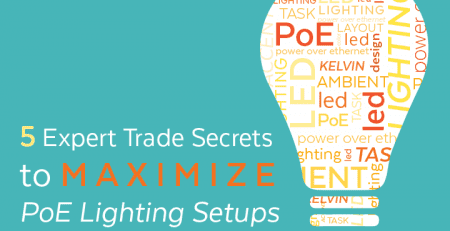 And many variations come from there if you want 2.5G PoE ports, or more SFP+. 10G copper is much harder to run, more costly by far for cable, and has many run-length issues as well as more complex transceivers. I’ve been running my network for 3 years with multiple NAS devices, SMB (samba) file shares, all devices networked and remote desktop, mesh WiFi network, and Powerline Ethernet for external yard based devices.